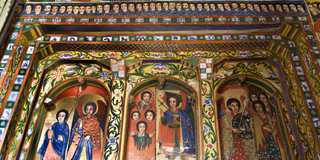 Africa's oldest independent country, Ethiopia, is shaped by its regal past and over a millennium of Christianity. Such history has resulted in phenomenal architectural sites from the medieval site at Lalibela, the baroque-style royal residences at Gondor and the cultural terraces of the Konso highlands. 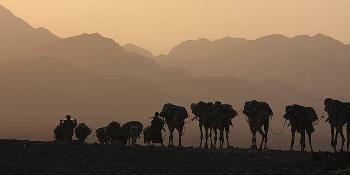 Ethiopia's rugged mountains are equally as striking as any of the man-made constructions. Inhabited by animals such as Ethiopian wolves, Walia ibex and Gelada baboons (all unique to the country), both the Bale and the Simien Mountains are worth the time of any keen adventurer. Bale National Park is a mixture of alpine peaks and lower dustier plains and first time visitors could be forgiven for mistaking it for the set of a western film. Take the opportunity to explore on horseback and make it extra special by riding the Sanetti Plateau as the sun rises. Home to the bent horns of the Ibex, the high plateau of the Simien Mountains offer a more jagged landscape with deep canyons, protruding rocks, sheer cliffs, and wonderful vistas for those that trek across them. Spend time at the historic royal city of Gondar for the more cultivated side of Ethiopia. 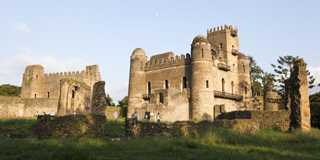 From the 12th to the 20th century, Gondar was the home to the country's rulers and contains numerous palaces, castles and gardens to explore. 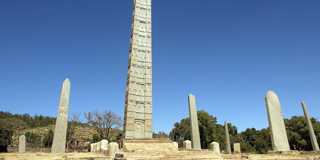 Churches too play a large part in the country's architectural identity and some of the world's oldest can be found on the islands of Lake Tana, while at Axum (home of the Queen of Sheba), the giant, granite obelisks prove even the most ancient architecture is phenomenal. Check the exciting regions and itineraries we are able to offer you below. 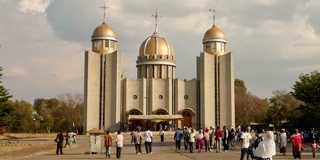 Ethiopia's capital, Addis Ababa, is located in the central highlands and boasts a wealth of attractions. 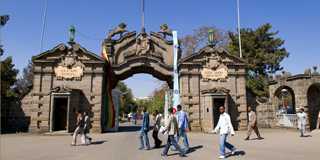 Places worth visiting include the National Museum, the Menelik Palace, the Jubilee Palace and St George's Cathedral. Arba Minch, meaning 40 springs, is named after the several bubbling streams surrounding the town. 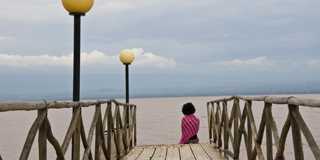 Here you will find two of the country's greatest rift valley lakes, situated close to each other and shaping the neck of land between the two lakes. The city of Awassa combines the conviviality of a medium sized city with the peace and space of Lake Awassa. There are various attractions in and around the city, which are dominated by the golden domes of St Gabriel Church. The town of Axum, in the far north of Ethiopia, is fabled as being the home of the Queen of Sheba. It offers many interesting archaeological sites as well as being an important religious site and, supposedly, the home of the Ark of the Covenant. 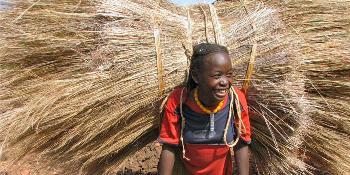 Bahir Dar, the third largest city in Ethiopia, is situated on the southern shore of Lake Tana. On the islands of the lake are some of the world's oldest churches and monasteries, which can be reached via boat trips. 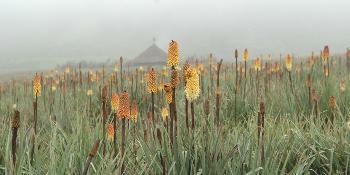 Goba is a gateway to the Bale Mountains National Park. 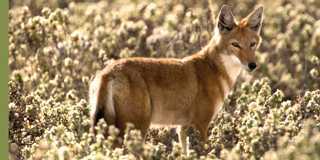 The park is the ultimate destination for hikers, wildlife watchers, culture and nature enthusiasts and bird watchers, and is one of the best places to spot the rare and endangered Ethiopian Wolf. As the ancient capital of Ethiopia (1632-1855), Gondar retains an atmosphere of charm that’s mingled with an aura of mystery. Jinka is a market town in southern Ethiopia, located in the hills north of the Tama Plains and close to Mago National Park. 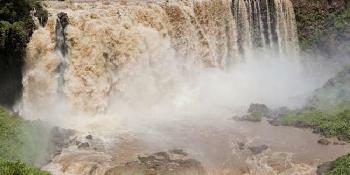 The extremely remote Mago National Park is located on the eastern bank of the River Omo. Lake Langano is a stunning area surrounded by a number of resorts, making it a popular destination for tourists and city-dwellers. The lake is safe to swim in and there are plenty of water sports on the lake for visitors to get involved in. Ethiopia is the only African country never to have been colonised, and to have maintained its Christian heritage, despite all its neighbouring countries turning to Islam in the 17th century. This itinerary is designed for those who love nature, wildlife, and authentic culture. Most of the major national parks in the country that are famous for wildlife are included. 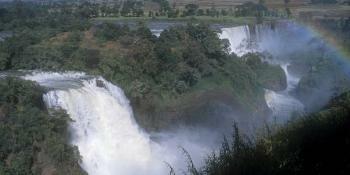 Ethiopia is the hidden gem of Africa. It's a land of cultural treasures and dramatic landscapes, and home to some incredibly captivating people and wildlife. Ethiopia is a land packed full of history, wildlife, culture and adventure, and whether you're a first of fifth time visitor, there will always be something interesting and exciting to see. This adventurous tour travels from one of the lowest and hottest places on the planet to the mountains of Tigray. This itinerary is designed for those who love nature, wildlife, and authentic culture. 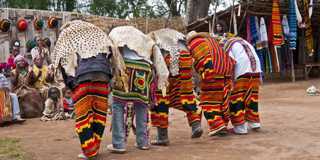 It gives you the opportunity to meet several of Ethiopia's fascinating tribes and to learn about their culture, with visits to Mursi, Hamer, Karo and other Omo valley tribes.